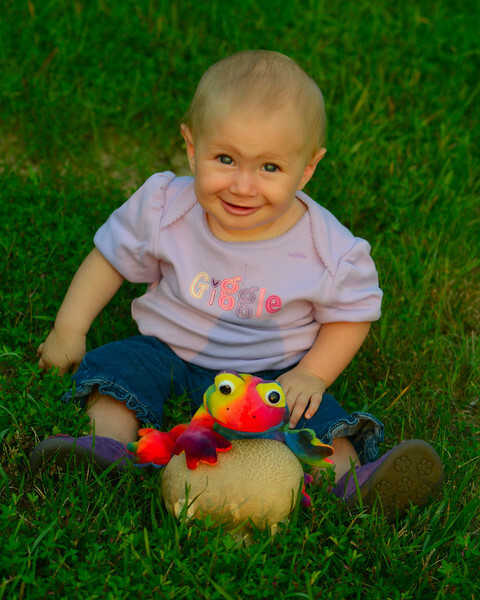 Aww that is some frog and a cute little kiddo! Izabella is a cutie! Great shot of her! She is really growing so fast; cute shot!